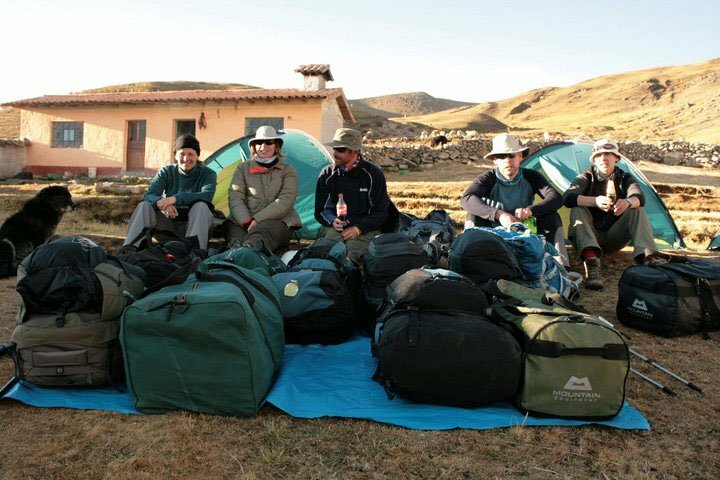 You’re leading your first trip to Everest Base Camp, and you are responsible for a group of ten sixth-form students who are also on their first expedition to a developing-world destination. After a couple of days of negotiating the chaos of Kathmandu you survive the flight into Lukla and begin your trek. What is travellers’ diarrhoea (TD)? Everyone has different bowel habits but TD is generally classified as more than 3 loose stools per day (it’s usually more than this) when travelling. It affects 10-60% of travellers with central and South America, Africa and Asia having the highest risk. Diarrhoea is usually accompanied by abdominal cramps and nausea, occasionally vomiting and fever. About 75% of TD is caused by bacterial infections, about 15% viruses and 10% parasites such as giardia. Generally speaking bacterial infections usually cause quick onset watery diarrhoea, occasionally vomiting as well. Viral diarrhoea tends to cause mainly vomiting and parasitic diarrhoea usually comes on slowly and causes loose rather than watery diarrhoea. Usually TD will improve in 2-5 days. In healthy people the main thing to worry about is dehydration. 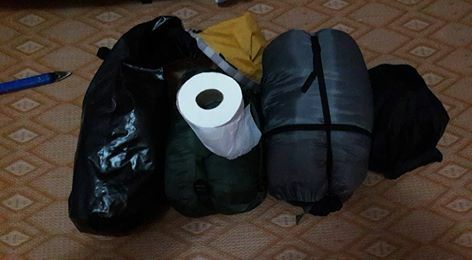 Not too much of a problem in a 5 star hotel but this can lead to serious illness whilst on trek in a remote area. Almost all bugs that cause TD are ingested through the mouth: either in contaminated food or from unwashed hands. Risky foods include buffet foods, salads, ice and shellfish. Symptoms can appear anywhere from 6 hours to 5 days after ingestion. It is often very contagious and spreads rapidly through groups. So what do we do with our group? Firstly we need to make sure no-one else gets infected if possible. That means no sharing water bottles or food, being super strict about washing hands before eating (particularly if eating communally) and after using the toilet.Consider bringing food to your patient rather than letting them use communal eating facilities and try not to use communal utensils. Ideally everyone should have a bottle of hand sanitiser to use regularly, although soap and water is more effective. One of the safest treatments is oral rehydration solution (ORS/dioralyte/enerlyte). This is a mixture of salt and sugar that increases water absorption in the intestines, reducing the volume of diarrhoea and preventing dehydration. Loperamide (Immodium) is effective at controlling diarrhoea although it should not be given to children, those with high fevers or bloody diarrhoea. Bismuth subsalicylate (Pepto-bismol/pepti-calm) is an effective medication for TD, reducing episodes of diarrhoea by around 50%. Be aware it blackens the tongue and stools, can reduce effectiveness of doxycycline for malaria prophylaxis and shouldn’t be used in under 16 year olds. ORS, bismuth and loperamide are available without prescription. Most medical guidance suggests trying antibiotics if the diarrhoea persists over 72 hours. For SE Asia/India a single dose of Azithromycin (1 gram) can be used, single dose ciprofloxacin(500mg-1g) for other regions.When in a remote area far from medical care or when persistent diarrhoea causes logistical difficulties (such as in our case) it may be acceptable to start antibiotics before 72 hours have elapsed. There is good evidence that using loperamide (immodium) with antibiotics shortens the duration of diarrhoea. Diarrhoea can be an early sign of more serious illness such as malaria or appendicitis. Diarrhoea with blood in it or accompanied with a fever >38C means you should consider getting your patient to a medical facility. In this case you decide that risks of dehydration as well as slowing and potentially splitting the group during the trek mean that antibiotics are warranted. You give a single dose of 1 gram azithromycin along with 2 x 2mg Immodium tablets. You also give 2 Peptobismol tablets every 4 hours for 24 hours and a sachet of ORS every time a loose stool is passed. By the end of the day he is feeling better, having had 3 episodes of diarrhoea. You are happy that he is well hydrated as he has to urinate 4 times during the 7 hour trek. By the following morning his diarrhoea had resolved and he is back to full strength, and no-one else in the group has become ill.
From September 2018 Joe will be joining us working on our expedition first aid courses.